Moonville was once scarcely known as little more than just one tiny coal mining boom town among hundreds just like it in Southeastern Ohio. During its prime in the mid-1800s, there were never more than a hundred people living in the tiny community	and	within a couple mile radius of its limits. 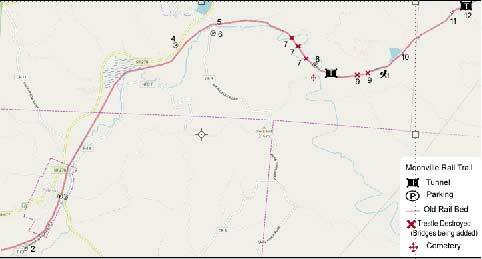 The road leading to it, even then, was a rugged twisting and turning path just large enough for outlying farm wagons to make it to Samuel Coe's mill on the east side of Raccoon Creek or the Ferguson's farm on the west side where a tunnel would be built through a long section of Appalachian hillside. In fact, by the early 1950s, the only things remaining were a few abandoned houses and a lonely stretch of railway between Marietta and Cincinnati. It seems farfetched now to think Moonville could have become such a hub of paranormal activity. Or perhaps, not. 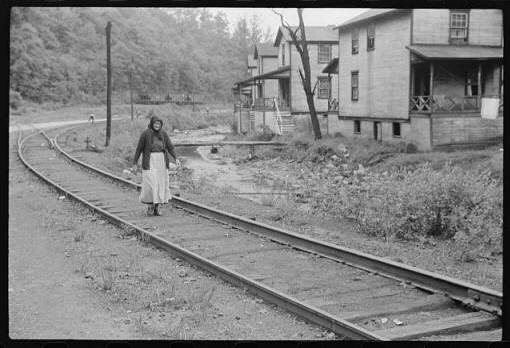 This is an image from a West Virginia coal mining town along railway tracks and would have been much like the town of Moonville in the 1800s. Courtesy, Library of Congress. Now the old roads are overgrown with poison ivy, wild rose and greenbriar. A much anticipated path with grand bridges along a section connecting Athens Ohio Rails to Trails to Vinton County's Rails to Trails never occurred. 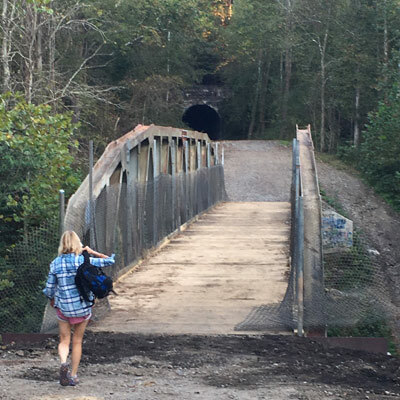 The only way into the belly of the old ghost town and the tunnel is across a treacherous section of Raccoon Creek or along crumbling and collapsing trails on Ohio Division of Forestry property. The sandstone foundations are nearly hidden beneath scrubby brush. It is hard to tell anybody was even here at all. The entire idea a town even existed in this little patch of State of Ohio forestry land would, most likely, be buried in time along with those who lived and worked there if it wasn't for a few local legends still hanging around. A young brakeman, an engineer, a woman crossing the tracks and a murdered man have all contributed to keeping Moonville from fading into oblivion. People have found themselves walking the same dirt paths those living in the sleepy town of Moonville once trod more than one-hundred and fifty years before. They come to see what these legends are all about - to find out if they can defy logic and touch a bit of the past. It was the loneliest stretch of railway from Cincinnati to Marietta. In the 1800s, the land around the town of Moonville was covered in forestland for as far as they eye could see. There were sparse pockets of cleared land from the iron furnaces, small farms and coal mines, but traveling these tracks by train was like careening down a highway in a fast car at a hundred miles an hour and turning off the lights.  It was dark and desolate and difficult to see. The engineers had to watch for cows and deer, chunks of trees and water flooding over their path. Add the tree canopy above that literally hugged the railway bed so it was like one, huge tunnel of black and you had a place all engineers simply dreaded to pass. That was Moonville. And such was the night the most famous Moonville ghost story began. It was a chilly night on November 4th, 1880 and Engineer Theodore Lawhead was heading his train down the tracks, staring into the blackness, watching the nothingness go by. Nothing. Nothing. Nothing. And then, out of nowhere, came a light . . .
Click here to find out how the ghostly light killed Theodore Lawhead. . .
Moonville Tunnel Access: There is now a bridge crossing from a parking area to the tunnel located here: (39.308458, -82.324539). Simply cross the steel bridge and continue up the hill. It will be on the left. For a larger view of the map, please click on the + at the bottom right corner. Please note: There are 5 trestles that are destroyed and NO signs to note there is a dropoff along the trail where they once stood. Please take caution when hiking or biking along the trail! They are noted below on the map, but not designated along the Rail Trail. If the road to Moonville is flooded. You can return to the intersection of Shea Road and Wheelabout Road (Near Hope Furnace Station school) until you get to Mace Road. Turn left on Mace, then follow it to the next intersection, which is Hope-Moonville Road. Make a left to proceed to the tunnel. Both routes are listed below. The top route is the typical route that floods. The lower is the flood route when Raccoon Creek rises. Want to know more about the history, mystery, and ghosts of Moonville and its surrounding communities--Hope Furnace, Hope Furnace Station, Ingham Station and Kings Switch? Buy the book! I also offer 8 other books on Ohio ghost stories, legends and tales. You can get them on Amazon.com! 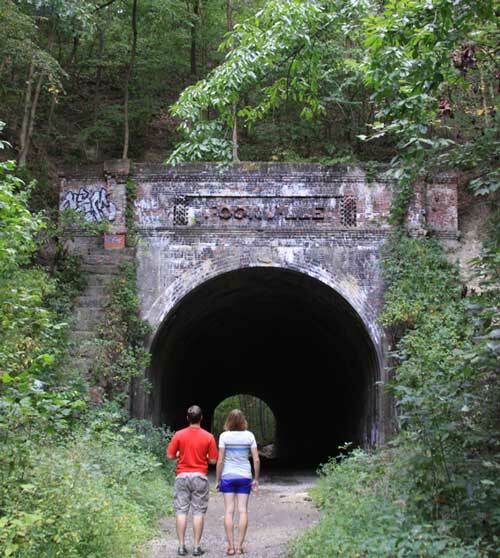 Copyright © 2000-2019- Jannette Quackenbush - Moonville Tunnel Org -Discover the wilder side of Ohio - Moonville Tunnel. The information provided is correct to the best of our knowledge. 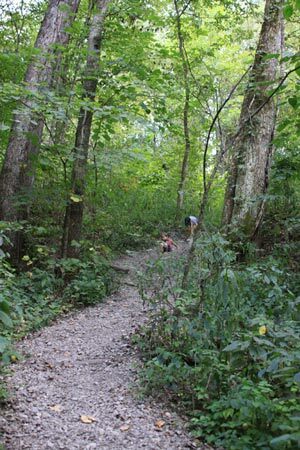 Ohio State Park and Forestry hiking trails and other public areas all have rules and regulations you must follow. Most are only open dawn to dusk. Please contact each private area or agency before ghost hunting and follow their rules. Act responsibly.